Stallion Springs is a city located in the Outside Los Angeles region. Stallion Springs is located near Bear Valley Springs, Tehachapi, Mojave, Rosamond, Caliente, Lake Elizabeth, Lake Hughes, Quartz Hill, Antelope Acres and California City and is comprised of the 93561 zip code. The real estate conditions in Stallion Springs are considered to be a "Seller's Market", which means the demand to purchase homes is greater than the supply of homes available for sale. 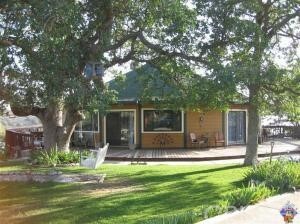 Description: reg sale beautiful 3+2 single story with upgraded floors throughout island kitchen rv access on over a 15,000 sq. foot lot Listed By: Mary Kornock of Re/max All Pro,inc.